2248 Jacobs Rd, Vestavia Hills, AL.| MLS# 832423 | Richard Jacks UABLIVING.com 205-910-2297 | Birmingham AL Real Estate | Contact us to request more information about our Homes for Sale in the Birmingham AL area. This cute 2 bedroom, 1 bath home has had a ton of upgrades and is ready to be yours! 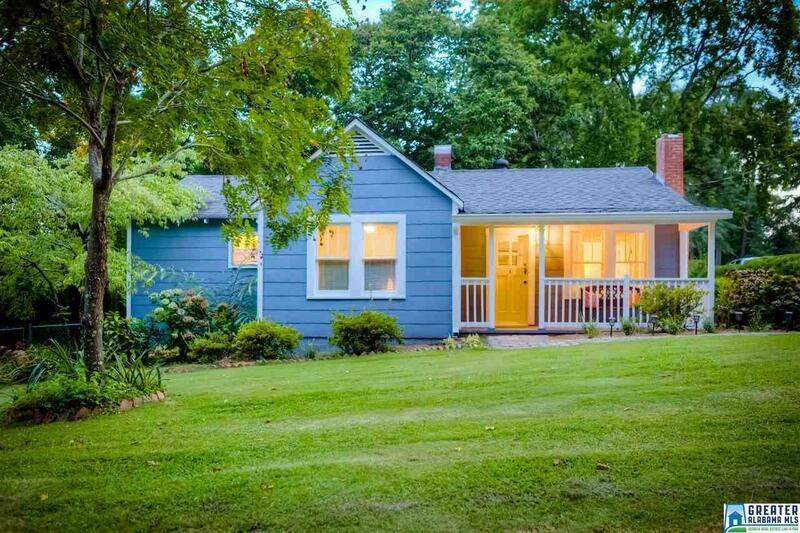 With fresh paint throughout, new flooring, a back deck, crown molding, and a new a/c unit all replaced and/or added in 2018, this one is low maintenance. The den in this home features a gas fireplace, and beautiful natural light. The den opens into the separate dining room, featuring wainscoting, which makes for a lovely space for entertaining dinner guests. The kitchen in this home features granite countertops, stainless steel Frigidaire appliances, a brick accent wall, and ample space for entertaining and cooking. Off of the kitchen you will find the back deck (built in 2018), which opens onto the large flat backyard, which features outdoor seating areas. Also featured in the backyard is a beautiful greenhouse and a new storage shed. This home also features a detached 2-car garage. BRAND NEW ROOF installed week of 10/15/18. Driving Directions: Columbiana Rd To Massey To Jacobs Rd.